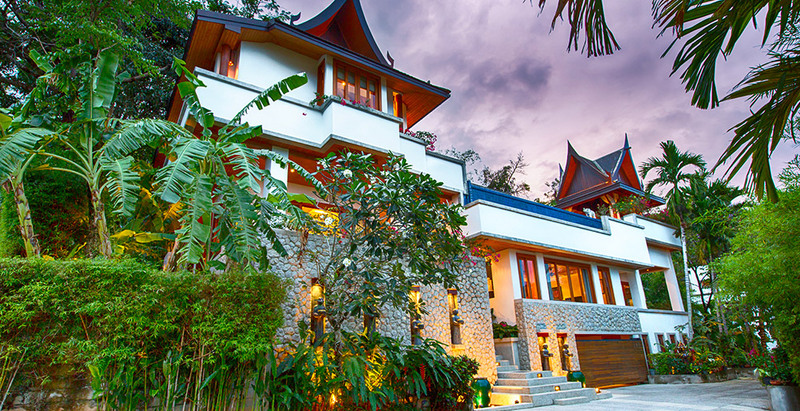 Set on the hillside with views of the Andaman Sea, Baan Surin Sawan is a tranquil retreat in an exclusive private villa estate just minutes away from Surin Beach on Phuket’s west coast. Brimming with elegance and a fascinating collection of art and artefacts from around the world, this four-bedroom, fully staffed villa embraces easy, yet luxurious tropical living. Style and comfort abound both indoors and out with ample deck space, an infinity pool and richly-decorated living and entertainment areas. Families or small groups will relish the villa’s serenity and easy access to Phuket’s best beaches and leisure delights.